The tilt garage door is the best solution when you have limited height in your garage as it takes up the least amount of headroom of any of the garage doors on the market. For those looking for an alternative to a roller door, tilt doors are a great option. The tilt garage door is a one-piece overhead garage door that uses a spring balance hinge that opens out and up. As the tilt door is a one-piece design, it offers you the versatility of choosing from a broader range of materials to suit the look of your home. 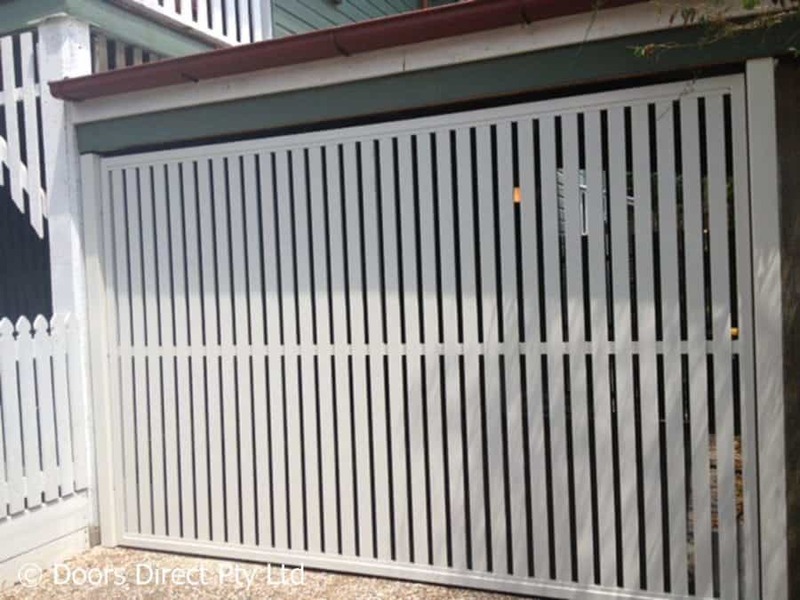 These include Colorbond steel, aluminium battens, timber cladding, and many more in a wide variety of designs and colours. The tilt door can be made out of sectional door sheeting to offer a wider range of designs and styles to suit your home. Doors Direct also specialise in custom aluminium tilt garage doors. This is a lightweight option made from aluminium framing and cladding. They don’t rust and will last for years with very little maintenance. Custom aluminium doors can be completed with a coloured powder finish, a great option if you want to match existing features such as fencing. Installation is straightforward with Doors Direct. Every job is unique, so we go over all of your best options and take accurate measurements before constructing your door. The installation itself is carried out by our experienced team, and doors are checked for safety before we leave you with your brand-new addition to your home. In addition to installing new tilt garage doors, Doors Direct can also service and repair them. Having a regular service on your tilt door will reduce the need for repairs. However, if you do encounter any problem at all, our team of experts will be out to assess the problem as quickly as possible to see your garage door functional again. From spring hinges to motor problems and all in between, we can help. An automatic garage door can make things a whole lot easier, so why not check out our range of tilt door motors? Motors add a touch of luxury to your door and home, allowing you to open and close with a touch of a button rather than having to get out of your car to do so, saving you time. 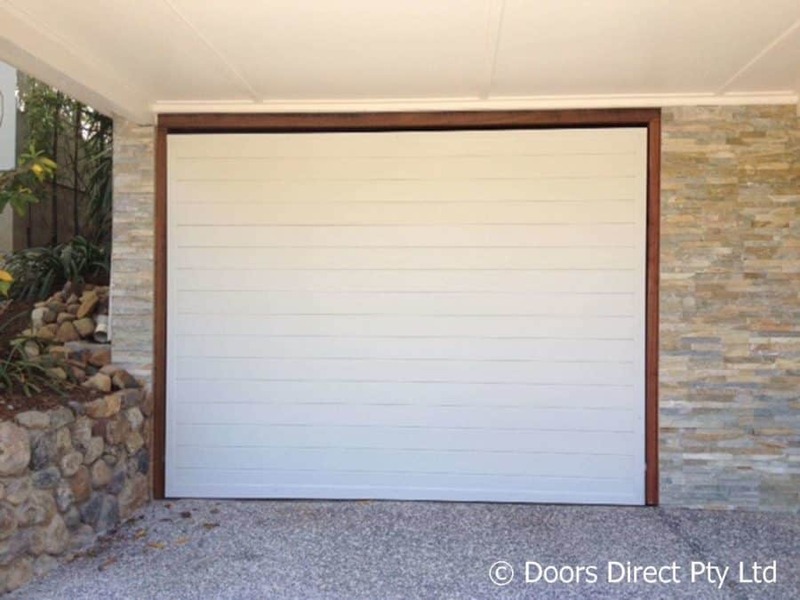 Doors Direct are your go-to garage door specialists. If you are thinking about replacing a garage door or even adding one to your carport, we can help you find the best one to suit your needs. 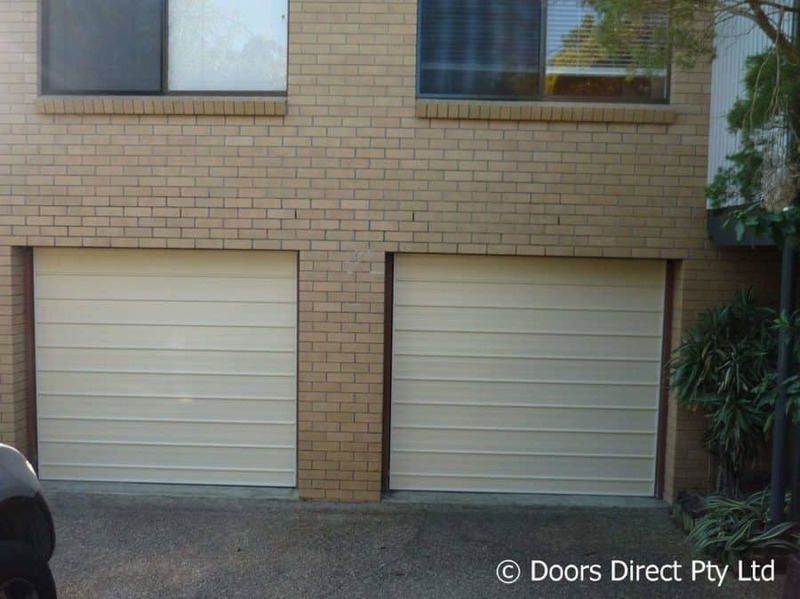 Tilt doors are just one type of garage door we specialise in. Visit our gallery for more ideas, designs and colour options. Alternatively, if you’re interested in a quote don’t hesitate to contact the team, and we’ll happily help you out.